A shoe of ambiguous coloration has landed on Twitter, and it is dividing daughters from fathers, brother from sister. In the comparatively chill days of 2015, even The Dress had the ability to tear America down the middle. In the hyper-politicized, divided days of 2017, #TheShoe may just be the straw that breaks the camel’s back. 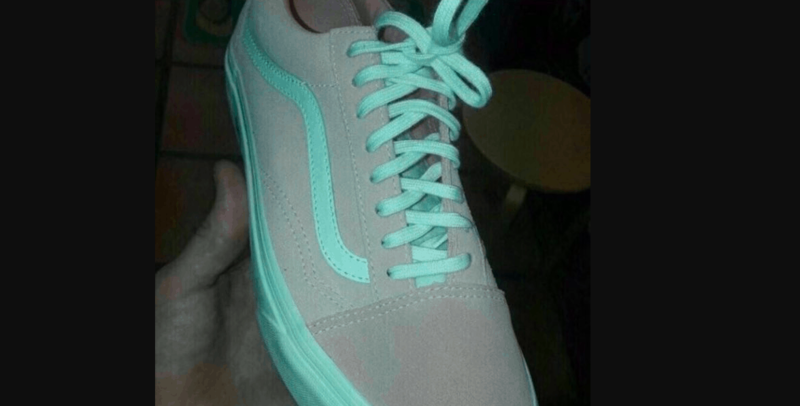 As with #TheDress, the baffling thing about the Shoe is how obvious the answer seems. Chances are, you immediately think “Well, it’s obviously pink and white” or “it’s obviously grey and mint.” But once you ask a friend or co-worker what they see, you’ll realize that the answer isn’t nearly as straightforward as you thought. And so it goes. Right now, there is no general consensus and there never will be. Such is the state of our world in 2017.